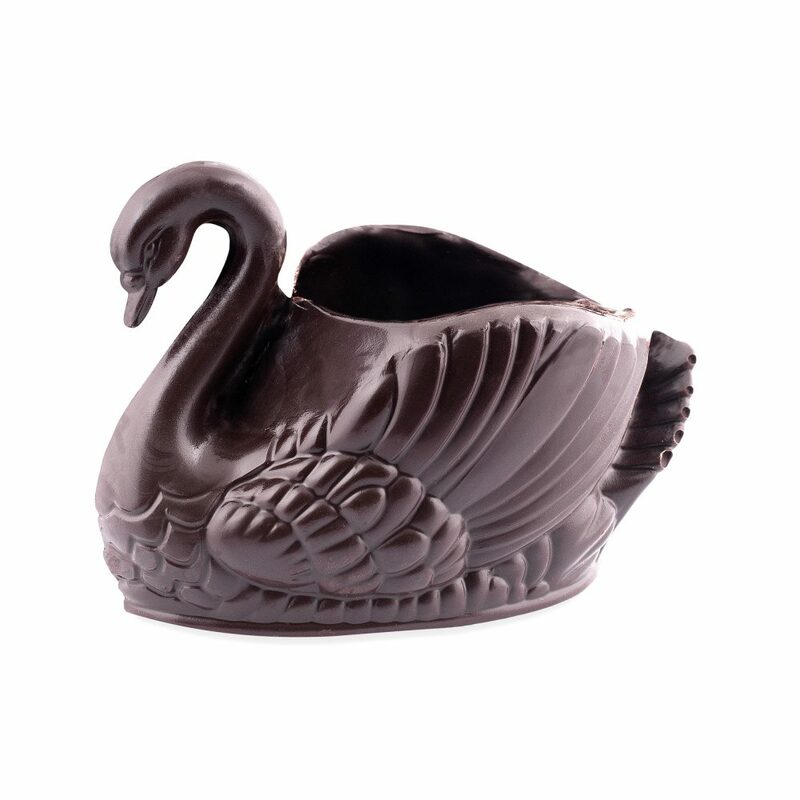 Medium dark chocolate swan centerpiece. Holds up to 45 pralines. Pralines not included.